Green Cove Springs, Fla. Feb. 2 – The Clay County Sheriff’s Office encourages you to begin the 2017 boating season right by attending a free safety class. 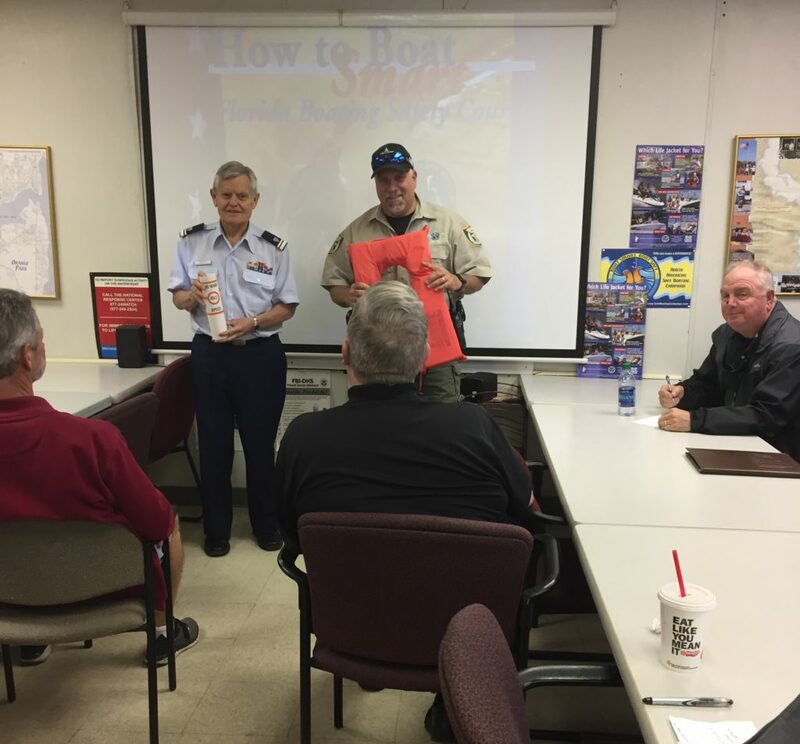 The sheriff’s office is partnering with the U.S. Coast Guard Auxiliary to host a safe boating class on Feb. 18 from 9 a.m. – 3 p.m. at the USCG AUX Headquarters, 910 Roland Ave., in Green Cove Springs. National Boating Safety Week is May 20 – 26. You can expect to see hundreds of people on the water. There are more than 12,000 vessels registered in Clay County. Whether you are a new boater or want to refresh your knowledge, you don’t want to miss this great, educational opportunity. The class covers everything from equipment requirements to navigation to operating your boat safely and much more. Seating is limited and reservations are required. To reserve your spot, contact Cecilia Bonham at (904) 616-1608 or boatsafeclay@bellsouth.net.